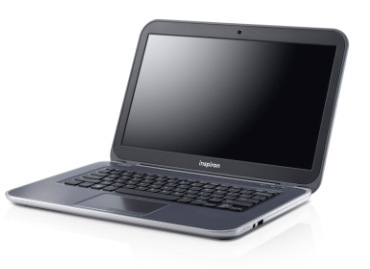 Dell Inspiron 14z 5423 Ultrabook is more than merely a usual laptop. It’s an Ultrabook that is super powerful and having superb looks. At 21mm thin, this device boots up in seconds and features longer battery life. The device comes loaded with in-built DVD drive that makes it a fully-featured gadget. Characterizing super-slim profile, this gizmo is easy to carry and takes less space on your lap or desk. It’s simply perfect to keep you connected wherever you are, whether it’s a coffee shop, library, office or a friend’s house. This device, undoubtedly, allows you to enjoy your movies and music on the go. Feast your eyes on its 14inch HD display that serves out enchanting images with a resolution of 1366 x 768 pixels. Dunk yourself in full entertainment with AMD Radeon HD 7570M 1GB graphics. With this, you can now enjoy more comprehensive and breathtaking photos and videos, faultless video streaming and graphics-concentrated PC gaming. Enjoy your favorite songs with their powerful speaker that gives super crisp audio. Stay socially connected with your near and dear ones from virtually anywhere with its HD webcam that ensures sound video chat with built-in digital microphone. What’s more? Let’s have a look at Dell Inspiron 14z 5423 Ultrabook review and see what this gadget brings for you. Gone are the days when Dell’s typical Inspiron line used to be big plastic boxes, which was too bulky to carry. This new Inspiron 14z Ultrabook has a thinner design that hardly takes much space in your lap or desk. With state-of-the-art aesthetics, the Inspiron 14z 5423 Ultrabook has a truly premium look and feel. Both the lid and the deck are made from aluminum. It’s one of the thinnest and lightest notebooks despite of comprising an optical drive. It features island-styled, spill-free keyboard featuring larger keys with wide space that gives a decent typing feel. It has multi-touch touchpad with separate right and left mouse buttons that allows a great navigation. The in-built speakers give mesmerizing audio while the various connectivity options like, multi format digital media card reader port, HDMI and 3.0 all make transfer and sharing of data a breeze. A pre-loaded webcam aids web based video chats and calls while a DVD writer allows you to burn and play your favorite movies and media faultlessly on the system. Talking about its display, the gadget features 14inch large screen HD LED Display that produces true to life picture quality pleasing your eyes. Powered by the latest 3rd generation Intel Core i7 processor, the Inspiron 14z 5423 Ultrabook is constructed to deliver high-end computing performance making it ideal for professionals seeking an easy and portable gizmo to work with. Being super-powerful with latest configurations, the Ultrabook is geared to confer the most sophisticated web browsing experience, faster and better execution of tasks and a high-level of your entertainment through rich multimedia playback. Furthermore, an enormous 8GB of RAM and 500GB of hard disk facilitate faster performance and give ample storage space. The out-and-out 1GB graphics card ensures multi-tasking without any glitches and a crisper graphics experience doesn’t matter whether you are watching your favorite movies or playing an interesting game at top-level settings. The Dell Inspiron 14z 5423 Ultrabook is an excellent laptop that offers a terrific performance. It is an ideal machine for those looking for a computer that does a lot more than just a normal computing. It makes complex computing tasks like editing, mixing, graphics creations, multimedia work, etc. very easy and trouble-free. It also offers superior user interface with the latest Windows operating System. All-in-all, the laptop has a great storage capacity along with a portable design and all the preferred connectivity options that facilitate you to stay connected anytime, anywhere.